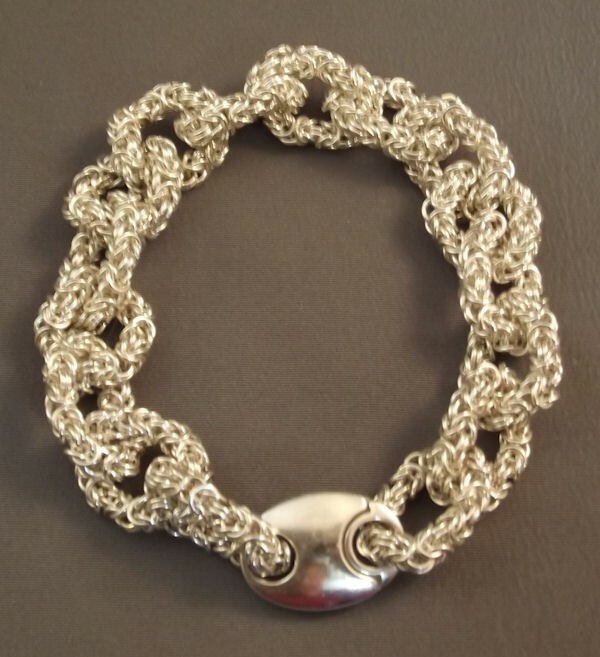 The Chain of Links Bracelet is an outstanding piece of chainmaille jewelry. You make the chainmaille links from jump rings and as you build the bracelet, the links are also interwined into their own chain.This bracelet feels "soft" to the touch as the links are not stiff or hard. It is really enjoyable and extremely comfortable to wear. The picture shows the magnetic clasp that I have woven into the bracelet. This clasp integrates into the "link look of the bracelet" The clasp is available for purchase also. This is an advanced beginner project.